I’ve been a lover of Brouwer’s music since hearing Retrats Catalans on the Eduardo Fernandez cd in the early 90s. I’ve since attempted to get as many of his wonderful concerti for guitar and orchestra on cd as I can (not all seem available). This is a beautiful disc, both works are wonderful. 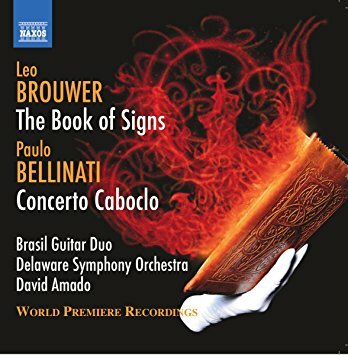 Brouwer somehow maintains a perfect balance between modernism and approachable lyricism without giving and ground to kitch gimmicks or academic dryness. Long live Leo!